There are few things better than brunch. Except maybe Sunday brunch. The lazy hours, the indulgence, the luxurious anticipation that makes even the most go-go New Yorker stop to breathe, dismiss the wait and enjoy the company, weather, or both, and then happily overpay for eggs. 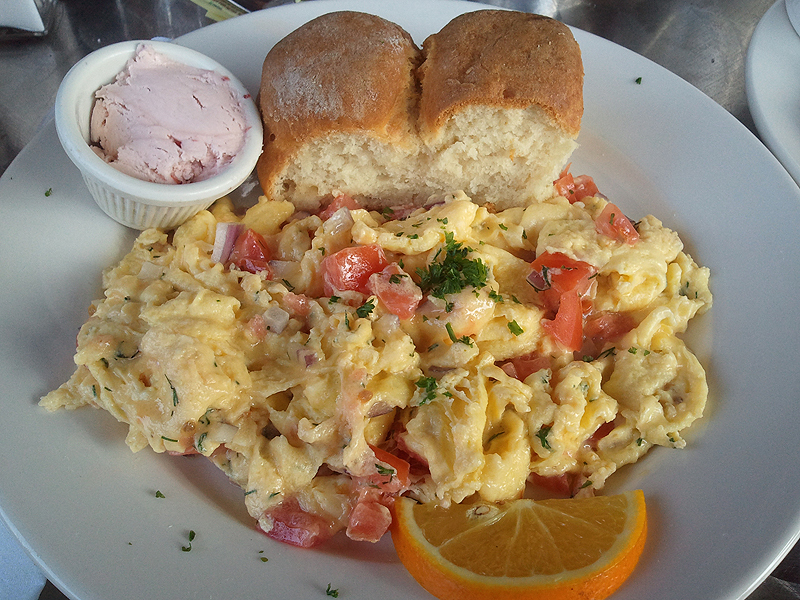 GOOD ENOUGH TO EAT: Special Scrambled, with red onion, tomatoes and fresh dill. On my latest trip to the Big Apple I was introduced to Good Enough to Eat, a cozy comfort-food cafe on the upper west side of Manhattan. There's nothing complicated here: omelettes, scrambles, pancakes, grits, hash. But what stuns is the quality — many dishes are served with delicious little biscuits and homemade strawberry butter. The combo is simple genius. And the eggs are perfectly cooked, still loose and creamy as they were meant by God to be. Steph (you must know her by now) and I split an order of pancakes and the Special Scramble — a light, fluffy tumble of onions, tomatoes and dill. It was almost like summer on a plate, and something I would head back to Amsterdam and 83rd for in a heartbeat. GOOD ENOUGH TO EAT: Corned Beef Hash. Then I ordered the corned beef hash. "Burn it," I told the waitress, and that they did. Perfectly. 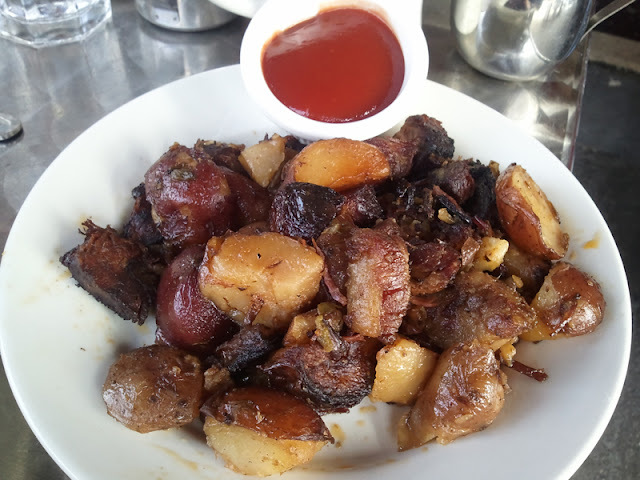 It was chunky and unctuous, utterly unlike the crap I had as a kid (which I loved, and still do), with huge hunks of corned beef mixed with ridiculously yummy fatty pieces, and properly crisped potatoes. A different take, and one I enjoyed. Honestly, waiting for anything in this place is likely worth it. I can't wait to go back for lunch. That said, there are plenty of girls out there who are fascinated by the power and empowerment of learning to properly handle a firearm, yet who benefit from a more feminine approach to take some of the nerve-wracking mystique out of it. I have many obsessions. Food, Fashion, Firearms ... and Casellula Cheese & Wine Cafe. I just returned from a 6-day vacation in New York, in fact, where I checked into this social and culinary gem via Foursquare no less than three times. I earned the Local badge on the 3rd check-in, and I don't even live there. I'm insane. 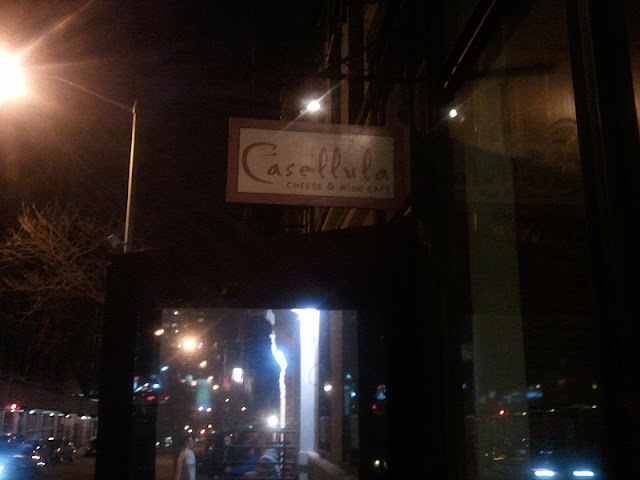 But you must understand, Casellula, to me, is the epitome of what makes New York New York: an eclectic breath of culture, civility, and culinary mastery that operates at its best even after the rest of the world is asleep. A thing you share with discretion, with just your favorite people, lest you ruin its magic by oversharing and making it — eek — trendy. 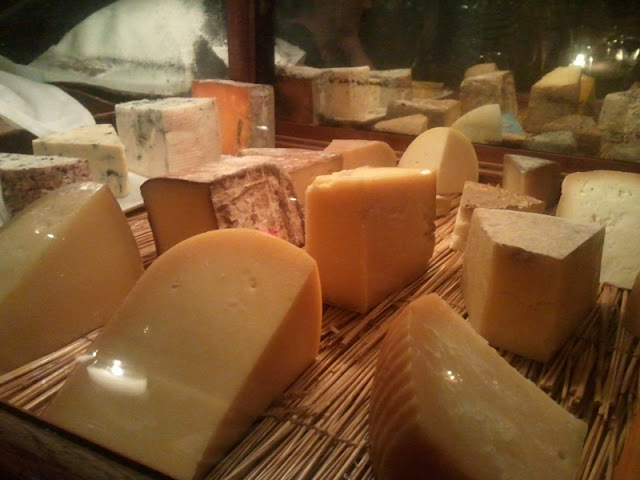 CASELLULA'S diverse cheese selection, in their central display. I have been to Casellula five or six times in the last two months, which is amazing given the fact that I live in Los Angeles, and I don't think I've been there before 10pm on a single occasion. It is my necessary final stop, that perfect cap to any NYC meal, day, or adventure. Like a culinary tuck-in without which I cannot sleep (I told you, I am insane). 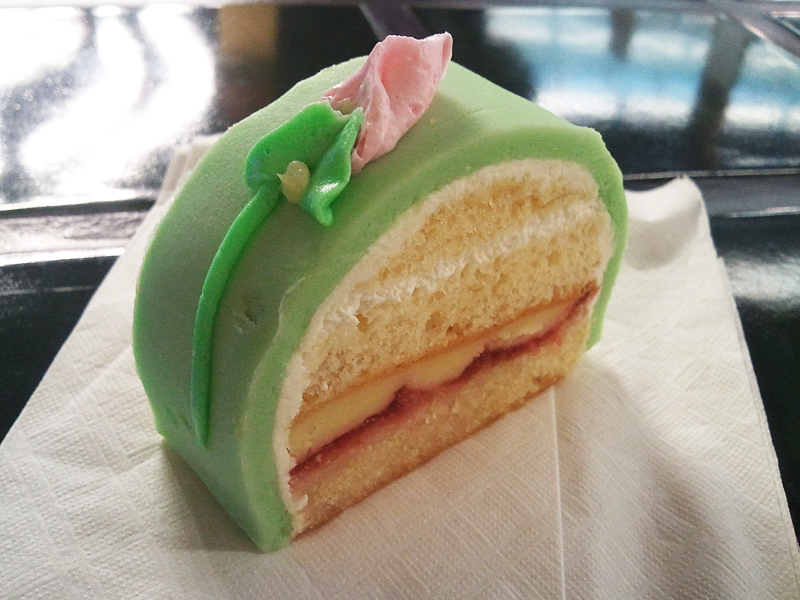 One of my favorite reasons for visiting New York is the food. Specifically, the pizza. 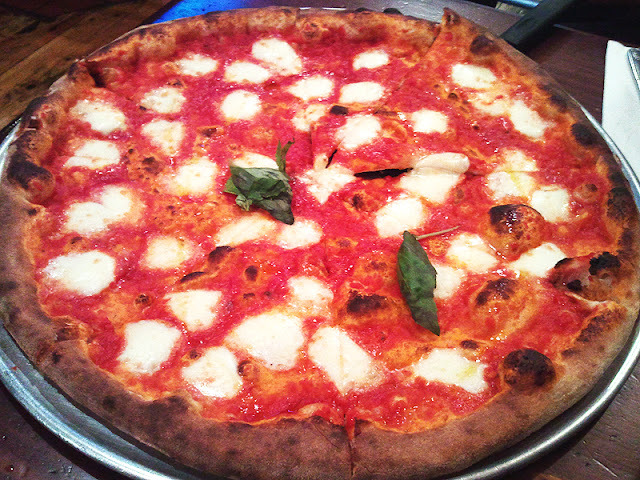 Fresh mozzarella, a little sauce, a sprinkle of basil, and almost paper-thin crust. Sounds easy enough, but it's tough to get right, especially in LA. Luckily, I'm not in LA this weekend, I'm in my beloved New York ... where my beloved friend Steph took me to her favorite pizza spot, Luzzo's. A dive in the East Village, it's simple, uncomplicated, filled with the unmistakable smell of a hot pizza oven. Tables come with salt, pepper and a can of Italian olive oil. We ordered the Bufala, which is the magical pie of the gods. It arrived hot and bubbling — all crust, painted with tomato, dotted with fresh cheese, and hit with just enough basil to feel like a tease. After the heavy, oily, over-sauced hubcaps I've had in LA, it was heaven. I ate four slices, half of them dipped in salted olive oil, and yet I left feeling light and ready to keep exploring the city. When is the last time you ate four slices of pizza and felt good about it? Now, I'm still a big fan of a Jersey pie, but for uncomplicated deliciousness, the Bufala is a winner. Go to New York. Go to Luzzo's. And bring cash, because they don't take credit cards. 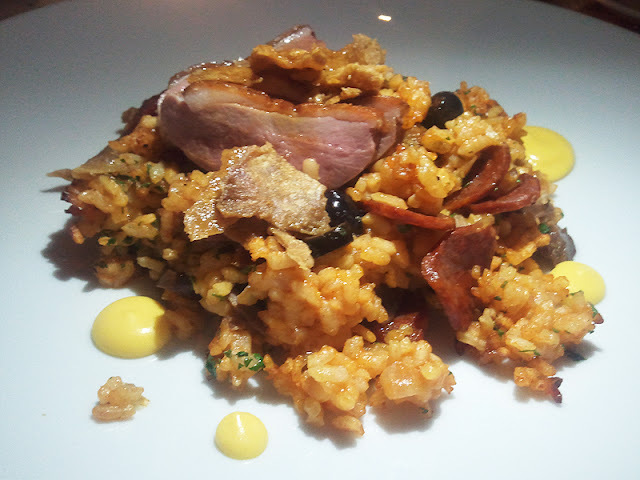 I was first inspired to try George Mendes' Aldea in NYC after seeing his famous Duck Rice featured on Food Network's The Best Thing I Ever Ate. It has duck three ways, and in my world, duck x 3 = magic. Happily, my foodie/fashionista twin Steph was eager to hit this spot herself, so I conveniently made late reservations for us via OpenTable as we waited for Zubin Mehta, conductor for the New York Phil Harmonic, to take the stage and give us his performance of Bruckner: Symphony No. 8 (good God, I love technology). ALDEA Restaurant, in New York's Flatiron district. 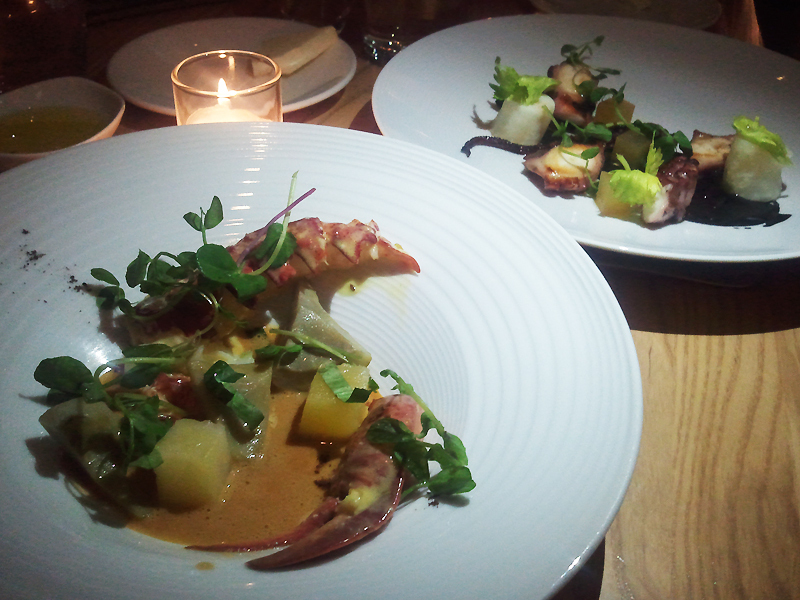 Pictured: Lobster Artichoke Salad and Spanish Octopus à la Plancha. My first impression of Aldea was excellent: all open kitchen, with a dining room full of clean lines, modern palettes and simple upscale decor. The service was fantastic, and as we settled into our charming corner table and ordered from their superb wine list, I was ready to be happy, Portuguese style. First up: Lobster Artichoke Salad, followed by their Spanish Octopus à la plancha, served with roasted celery root, potato, and lemon-squid ink purée. The lobster was fresh and succulent, and the artichoke complimented the frothy dish with an unexpectedly earthy bite, but the octopus... Tender, lemony, and perfect. It's so easy to ruin octopus, but Mendes knows what he's doing. A favorite. ALDEA: Duck Rice, with Duck Cracklings, Chorizo, Duck Breast, and Duck Confit. Then we ordered the rice. Hmm. Beautiful, but not what I expected. When someone raves about a dish, especially another foodie, it sets a bar that's often hard to reach, even as you hope to sail over it. We both found the rice good, but not remarkable. Surprisingly, it was a little greasy (not duck-fat yum, but greasy) and...dare I say it...a little salty (this from a girl who will salt her salt). With three kinds of duck, I figured one would shine. None did. It's a check off my NYC Culinary bucket list, and that's that. I get a lot of attention wearing this t-shirt (it'll turn heads for a number of reasons), and I must say, every conversation that is sparked by my wearing it makes me all the more proud that I bought it. First off, it's flattering and comfortable. Second, it's got the words from the Second Amendment arranged in the shape of a gun. That's just freakin cool. Finally, it's black, it's badass, and it's all in good fun. 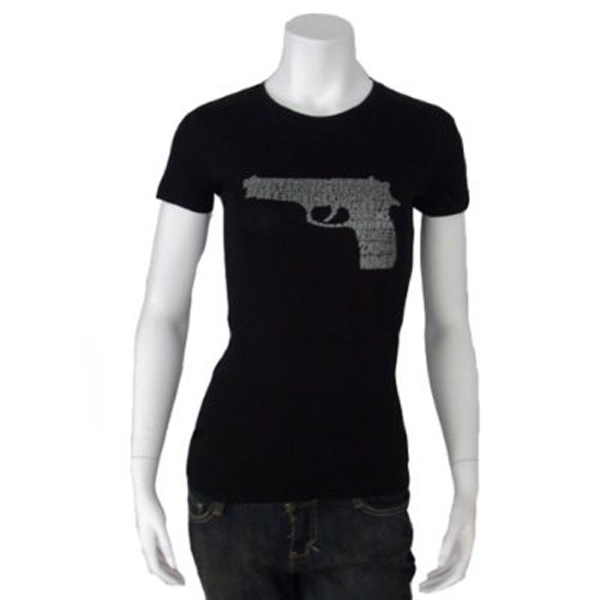 While most people are surprised to see a girlie girl wearing one of these (with heels) outside the gun range, many girls who see me in it immediately want one for themselves. And don't worry, boys. LA Pop Art, who sells the Right to Bear Arms shirts on Amazon.com, makes them for men and women. Equal opportunity awesome. I'm a big fan of school-night shenanigans to spice things up and keep weekends from feeling like my only outlet for spontaneity. That said, there's nothing quite like a traditional Friday night cocktail with a good friend and a great meal to cap off a long five days at the office. As for traditions, I seem to have fallen into a perfect one with my darling friend Matthew ... one that is made all the richer in that it last fell on a Friday. 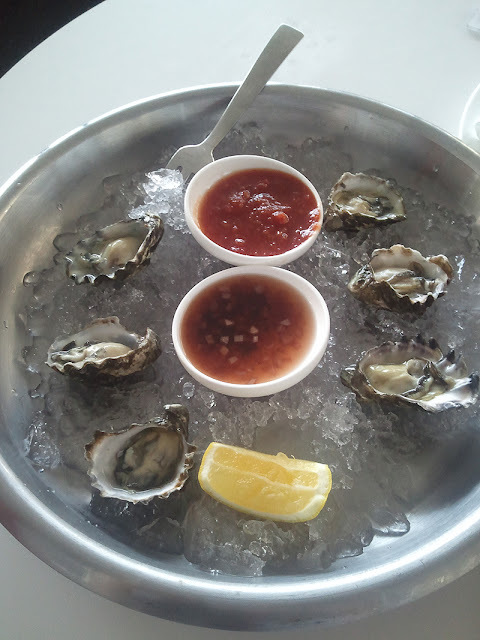 RAY'S & STARK BAR: Kusshi Oysters. The deets: LACMA's outdoor patio, under heat lamps at Stark Bar, with an olive platter, two orders of oysters (they're delicious, but tiny), and signature drinks made with my favorite single-malt Scotch on the planet: Laphroaig. If you're a Scotch fan who hasn't yet tried Laphroaig, it's full of peat and tastes like liquid campfire (a very good thing). Add a splash of honey and citrus peel like they do at Stark's, and it is elevated to genius-level mixology. 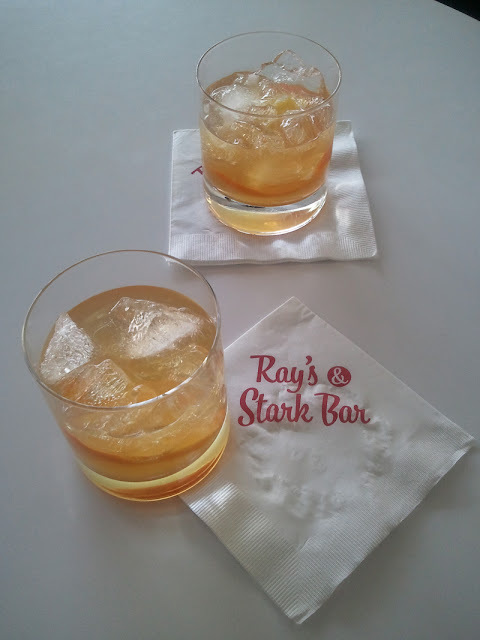 RAY'S & STARK BAR: Smokey and the Bandit Cocktail. Really, what makes this little tradition so fabulous is that it's so ridiculously Los Angeles. No matter the time of year, the weather is immaterial, the sky is clear, the people are fascinating, and everything tastes delicious. I slide into Saturday feeling relaxed, refreshed, and privileged to be spending so much money on rent and taxes just to enjoy the luxury. I love this dress. I love that it's blush pink, I love the Grecian draping, I love the short hem and sleeves, and I love that it is, in fact, called The Goddess Dress. The Goddess Dress by Alice and Olivia, $297, from Saks Fifth Avenue. I also love the designer, Alice and Olivia, as they are famous for this kind of fresh, flirty, feminine style. What's more? I absolutely looove Saks Fifth Avenue for their unbelievably awesome video feature, which allows you to see the dress in motion, on a model, giving life to the fabric and helping shape my 3-D perspective of the garment. It's genius. Do you hear that Neiman Marcus? Bloomingdales? Nordstrom? I love you too, but you're slacking. 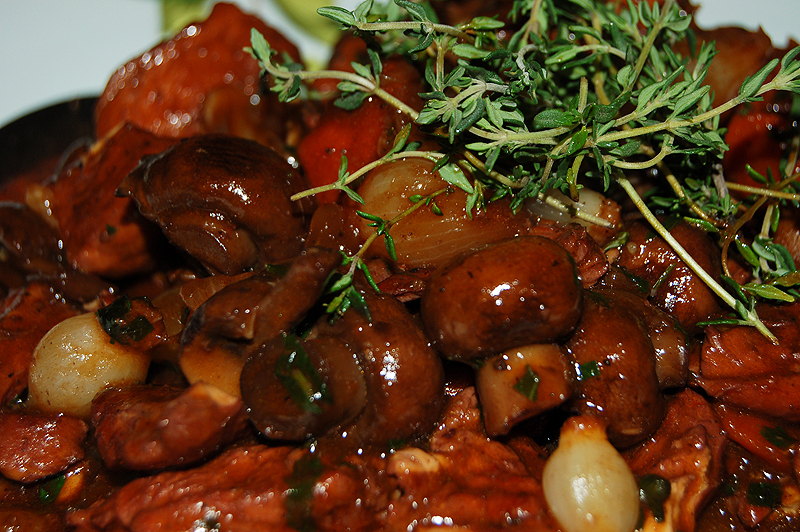 There are probably a million ways to make French chicken stew, best known as coq au vin, and I've had it almost every way you can: with bacon, without bacon, with a quartered hen, with chicken thighs ... you name it. My favorite version is my own, which is cobbled together from classic recipes, modified by a fabulous version from Martha Stewart, and updated with my own additions, deletions and experiments. 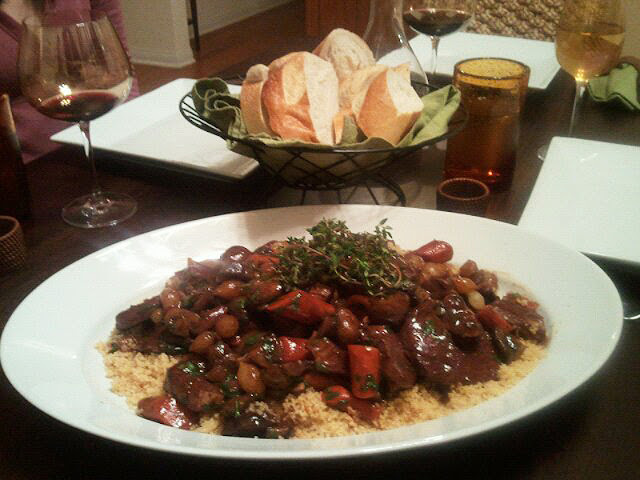 The finished meal, complete with friends. Because it's French, coq au vin naturally sounds complicated, but really, it's pretty basic. It's chicken with wine. Though there are a lot of steps involved, I find it's a great excuse to gather friends in the kitchen, open several bottles of wine, and talk while we prep, simmer, and wait for the gorgeous meal to be finished. For me, it's a very social dish, and my go-to whenever I have company. This just-for-fun prototype video by Magpul was sent to me by my second mom Glenda, and it features one of the coolest things I've seen in a long time. Having personally experienced a break-in, I must say this sucker is not only badass, but wholly practical for the trained, responsible user. Especially a chick late at night.